Kevin Harvick’s No. 4 Jimmy John’s Ford Fusion for Stewart-Haas Racing (SHR) will have a different look when he arrives at Chicagoland Speedway in Joliet, Illinois for Sunday’s Monster Energy NASCAR Cup Series Overton’s 400. This weekend, it will be the No. 4 Jimmy John’s Kickin’ Ranch Ford Fusion and features a brand-new advertising campaign from the Illinois-based sandwich shop. Long known for being “Freaky Fast” and “Freaky Fresh,” Jimmy John’s is now expanding that message to celebrate the freaks who work for Jimmy John’s and their obsession with making the perfect sandwich for their customers. In fact, it’s the first time Jimmy John’s has ever changed its paint scheme in the middle of the season. To reach Harvick’s level of success in 2018 – winning a series-best five points-paying races – it takes a freakish commitment. Harvick and the No. 4 team are freaks about winning, which makes the partnership with Jimmy John’s a perfect fit. In addition to the new paint scheme, Jimmy John’s also just unveiled some new products for its customers, including a Kickin’ Ranch dip and a 16-inch Giant sandwich. The Kickin’ Ranch paint scheme is part of Jimmy John’s new ad campaign, the theme of which illustrates that the company cares about things normal people do not and that is what makes its sandwiches consistently fresh, fast and healthy. It is actually the first time the new advertising campaign peels back the curtain on some of the practices that make the brand the freakiest, and best, in the business. These include: cutting lettuce into exactly 3/32-of-an-inch slices; only using fresh bread and not serving any bread that is more than four hours out of the oven; using meats that contain no added hormones, artificial ingredients or preservatives; slicing all vegetables, cheeses and meats every day in every Jimmy John’s location; and using only three ingredients for the signature Jimmy Chips – potatoes, peanut oil and salt. The No. 4 Jimmy John’s Kickin’ Ranch Ford Fusion will feature the 16-inch Giant sandwich on the hood with the words “Freak Yeah!” above the sandwich and the words “Freaky Fast” and “Freaky Fresh” below. The rear quarterpanels will also feature Jimmy John’s, instead of its standard “Freaky Fast,” and the new Kickin’ Ranch logo. The celebration of the new Jimmy John’s campaign starts at its home track. Jimmy John’s was founded in 1983 by then-19-year-old Jimmy John Liautaud approximately 163 miles from Chicagoland Speedway in Charleston, Illinois. It’s also a track where Harvick and his team have had been freaky fast throughout his career. In fact, Harvick won the first two Cup Series races in Chicagoland history – scoring back-to-back wins in 2001 and 2002. In 17 Cup Series starts at the 1.5-mile oval, Harvick has nine top-five finishes and 10 top-10s to go with his two wins and 432 laps led. Safe to say Harvick and the No. 4 Jimmy John’s team have been the freaks of the Cup Series field in 2018. They lead all competitors with five points-paying wins, 12 top-five finishes, 13 top-10s, 993 laps led and 26 playoff points. 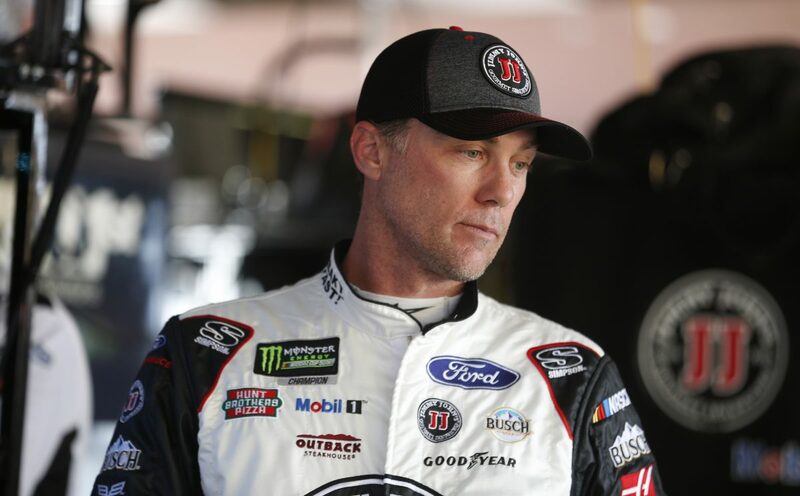 A win for Harvick and the Jimmy John’s team at Chicagoland in Sunday’s Overton’s 400 would add to those freaky statistics and put the team in an even better position as the NASCAR playoffs approach. You’ve worked with Jimmy John’s for a few years. What makes Jimmy John’s unique? You’ve won four of the last seven races on 1.5 mile racetracks. Do you feel your team has become the favorite at 1.5-mile tracks since the start of the year? “I think Atlanta is its own beast, but I think we answered a lot of those questions for ourselves. And now it’s about navigating the rest of it, and how do you push yourself forward, what do you need to work on, even though things are going well. Sometimes you have to trick yourself and everybody else into thinking, ‘OK, well, everything is going well. Well, I can promise you that the 78 (Martin Truex Jr.), the 18 (Kyle Busch), the 2 (Brad Keselowski), the 22 (Joey Logano) – everybody – is going to work, and they’re going to get better.’ I mean, we did that last year. We’ve been in this position before and you have to keep pushing forward to try to keep your advantage of things that are working well for you, but you also have to find out what your weaknesses are. So, we have to figure out how to motivate everybody to keep pushing forward to not sit idle in the things we’re doing and become complacent in the things we’re doing that are good enough right now because they won’t be when the playoffs start.